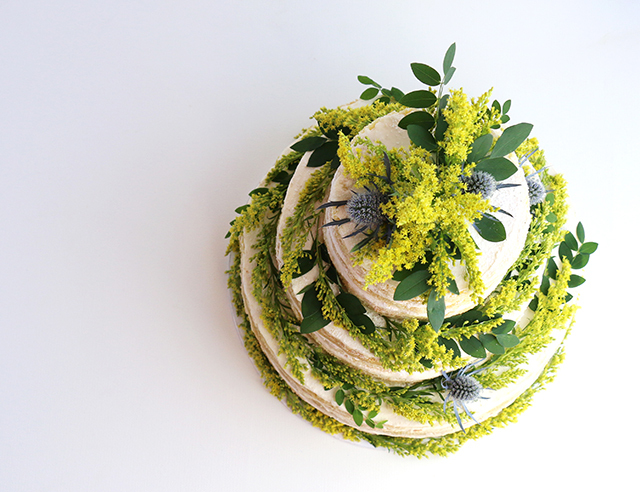 I love decorating an end-of-season cake. 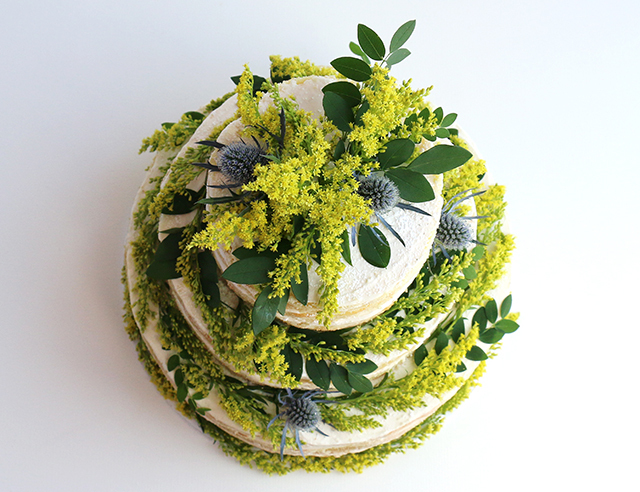 It’s a chance to just go wild with that particular season’s best flowers and color, like I did for THIS spring cake. 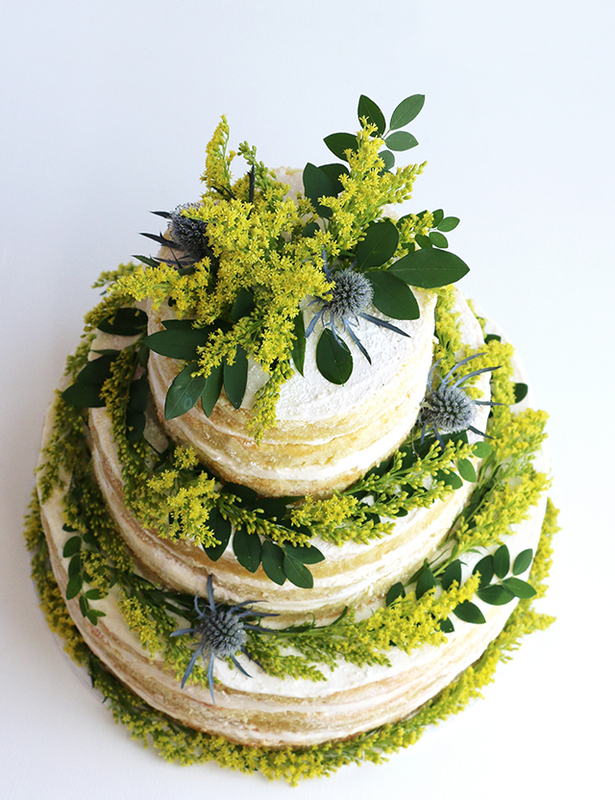 This past weekend’s wedding cake gave me the chance to do that for summer. 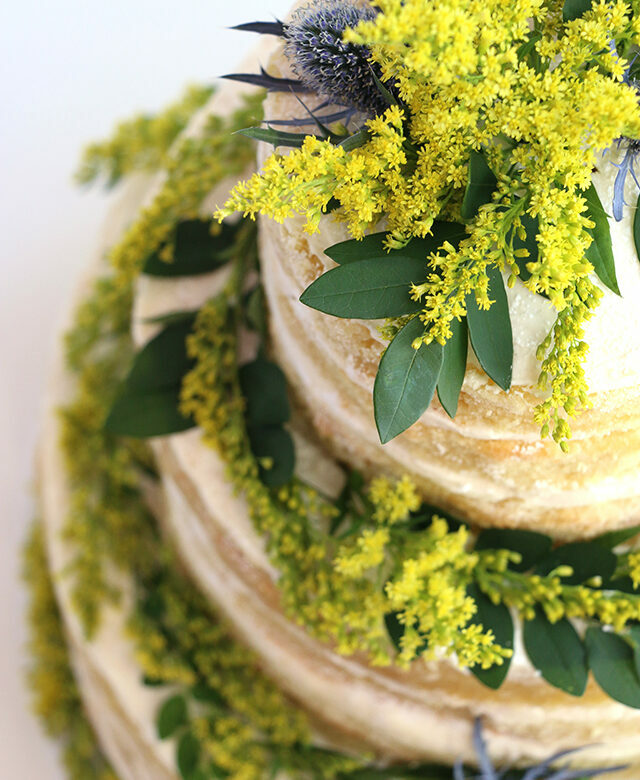 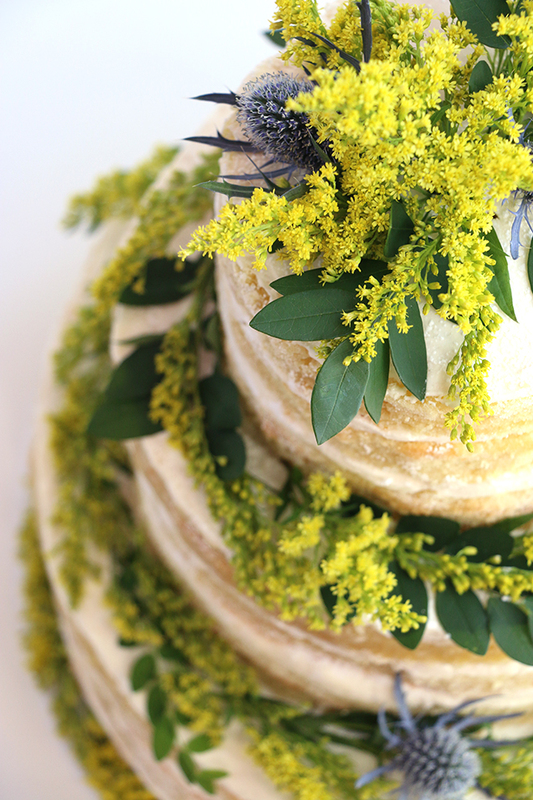 I decorated the cake using a whole bunch of goldenrod, some greenery, and a few purple dried flowers.